Her email was sent to Tom Bossert, Trump’s Homeland Security Advisor, who then forwarded the email chain on to six other Trump advisers including Michael Flynn, Reince Priebus, Steve Bannon, and Sean Spicer. Insiders say part of Trump’s difficult adjustment is rooted in an unrealistic expectation of powers: he thought it would be more akin to imperial command than having to coexist with two other branches of government. 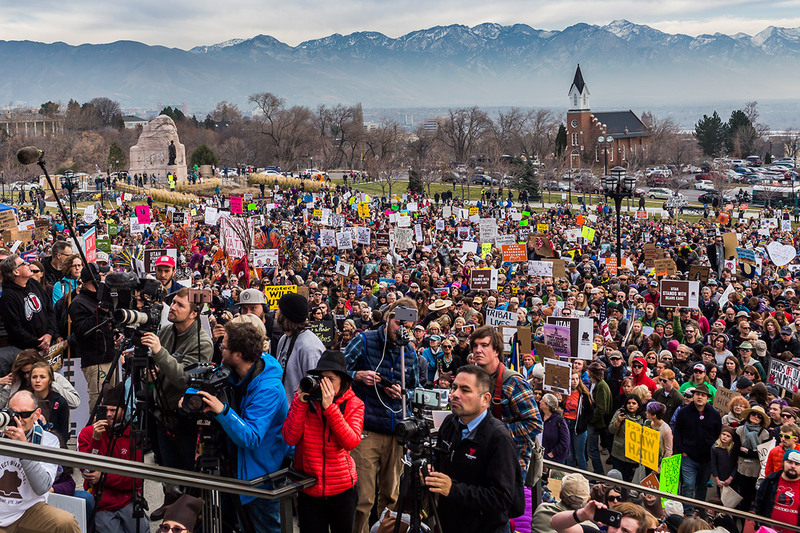 Thousands of people converged on the steps of Utah’s State Capital building to protest Trump’s plan to shrink protected areas across the country. Two of those areas are in Utah — Bears Ears and the Grand-Staircase Escalante National Monuments: the largest elimination of protected land in American history.